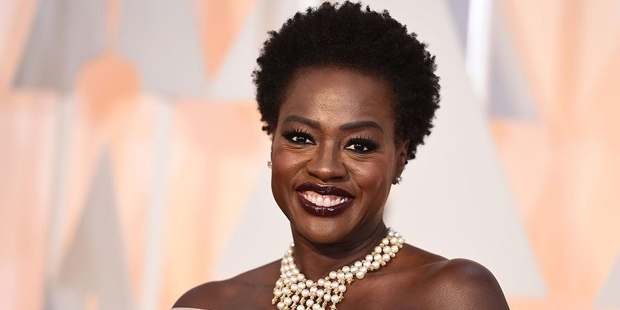 Viola Davis is an African-American actress and producer. She began her acting career through stage shows. She has won an Obie Award for her performance Everybody’s Ruby. She has been nominated for the Tony Award thrice and won twice for her role in 2001 production of King Hedley II and in 2010 for Fences. Davis was nominated for Indie Spirit Award for Antwone Fisher in 2003. Her performance in Doubt earned her several nominations Golden Globe, SAG and Academy Award for Best Supporting Actress. 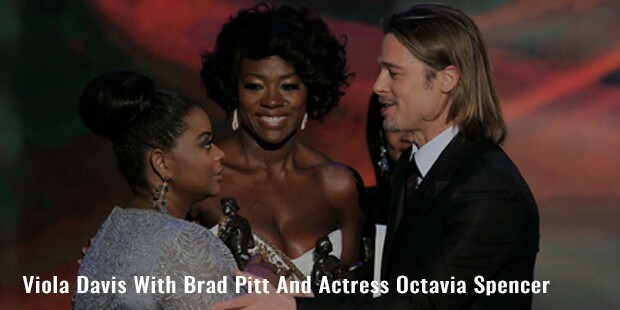 She also received nominations for the Golden Globe, BAFTA and Academy Award for Best Actress. She became the first African-American to win Emmy for Best lead actress for How to Get Away With Murder. 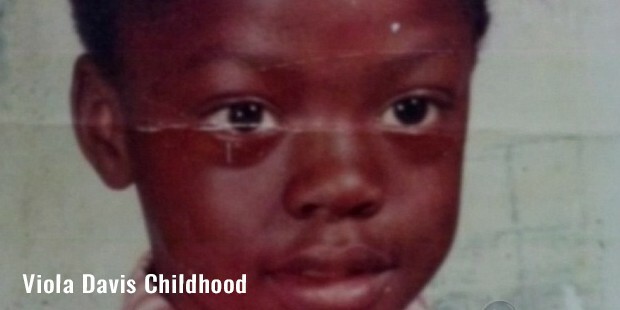 Davis was born to Mary Alice and Dan Davis. Davis’s love for stage acting partially goes to her involvement in the arts at Central Falls High School. She majored in theatre in 1988 and received an honorary doctorate in Fine Arts in 2002. She was first discovered by director Bernard Masterson when Davis entered the Young People’s School for the Performing Arts program. Davis began her career by performing stage shows and doing theatre. Eventually she appeared in numerous movies including Out of Sight, Solaris and Traffic. Davis has worked even in the television industry. Some of her works include Law & Order: Special Victims Unit, Traveler and Century City. Davis appeared in It’s Kind of a Funny Story as Dr. Minerva in 2010 which was adapted from a 2006 novel by Ned Vizzini. 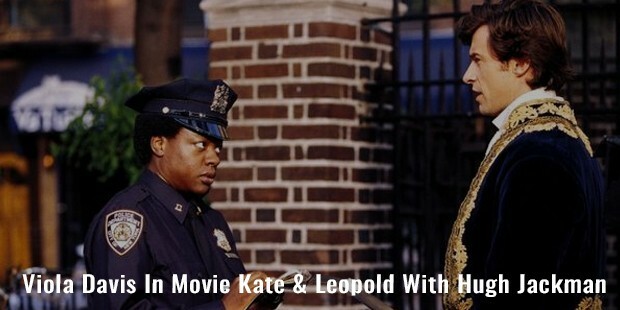 She has also given brief performances in several films including Kate & Leopold and Antwone Fisher. She appeared in the movie Blackhat in 2015 opposite Chris Hemsworth and directed by Michael Mann. This movie was a action thriller mystery film. Unfortunately the movie failed to create magic on the big screen and became the first biggest flop of 2015. Davis received her Screen Actors Guild in 1996 for the film The Substance of Fire. In 2001, she won Tony Award and Drama Desk Award for King Hedley II. In 2004 she won the Drama Desk Award for Intimate Apparel. Davis is the second African-American to win the Tony Award. Davis has acquired critical acclaim for her performance in the screen adaptation of the novel The Help. 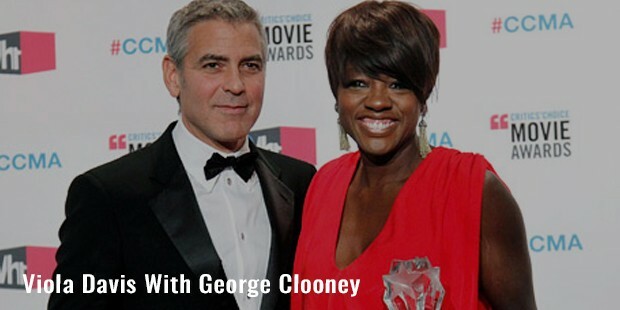 She earned two Screen actors Guild Awards and also a Golden Globe Award. She also received a nomination in the BAFTA Awards for the same. Davis is announced to play Amanda Waller in the 2016 DC Comics movie Suicide Squad. He started filming for another movie Custody in March 2015. She is also said to be one of the executive producers of Custody. Davis married actor Julius Tennon in 2003. The couple adopted a daughter in 2013. Also Davis is the step-mother to the two sons from Tennon’s previous relationships.